Do you have a small appetite, but don't feel like appeasing it with something ordinary and boring? Are you expecting guests shortly and want to serve them something impressive, yet fast and easy to make? Then one of these three snack ideas is just the thing you need to check off every box on your list. 1. Preheat the oven to 400°F. 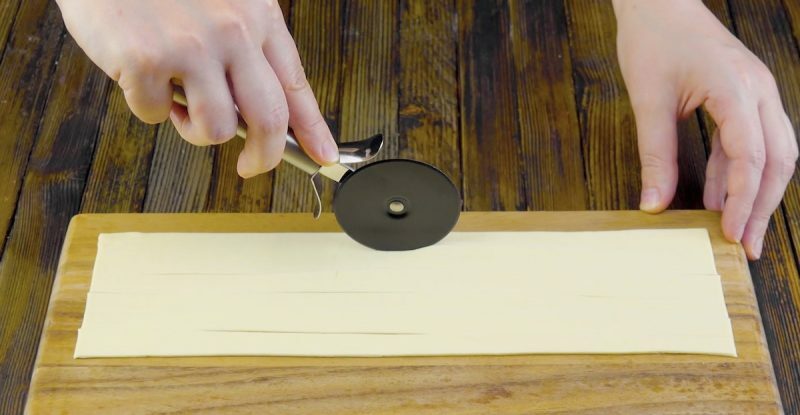 Cut a sheet of puff pastry in half and then cut out 6 long strips with a pizza cutter. 2. 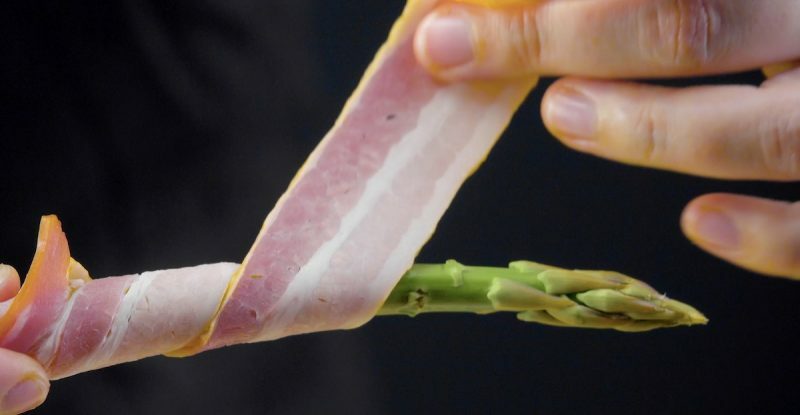 Wrap a slice of bacon around each asparagus stalk. 3. 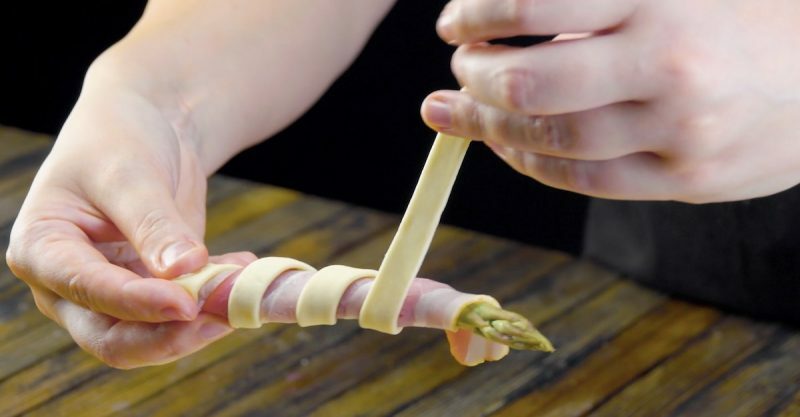 Wrap a strip of dough around each bacon-wrapped asparagus stalk. 4. 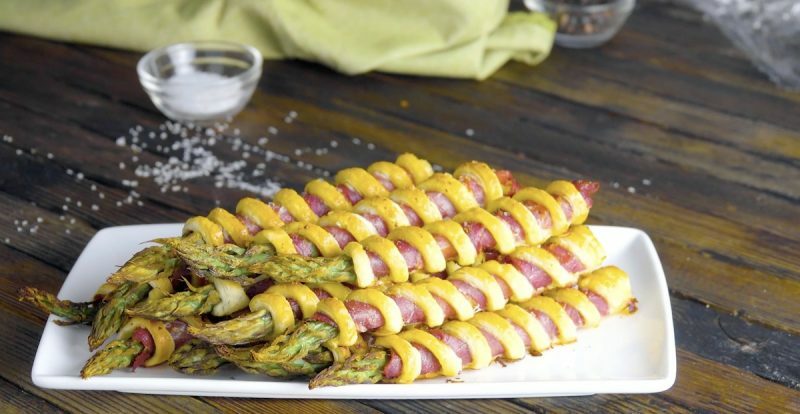 Brush each bacon asparagus twist with egg, season with salt and pepper, and bake for 15 minutes. Served plain or with dip, these veggie stalks are a healthy-ish dream! 1. Preheat the oven to 400°F. 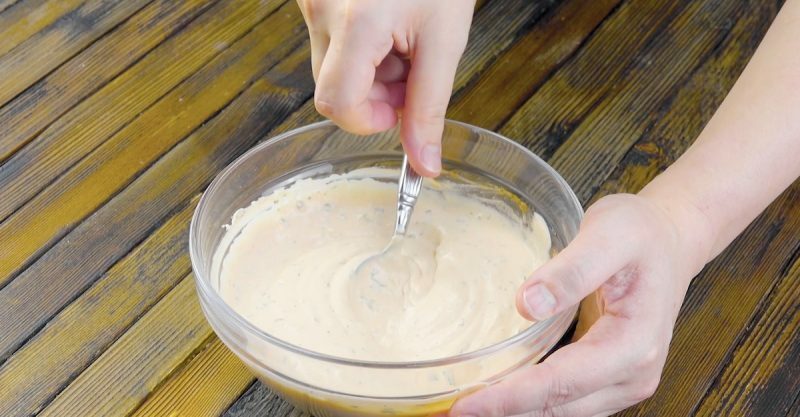 Prepare the dip using the above ingredients and keep refrigerated until ready to serve. 2. 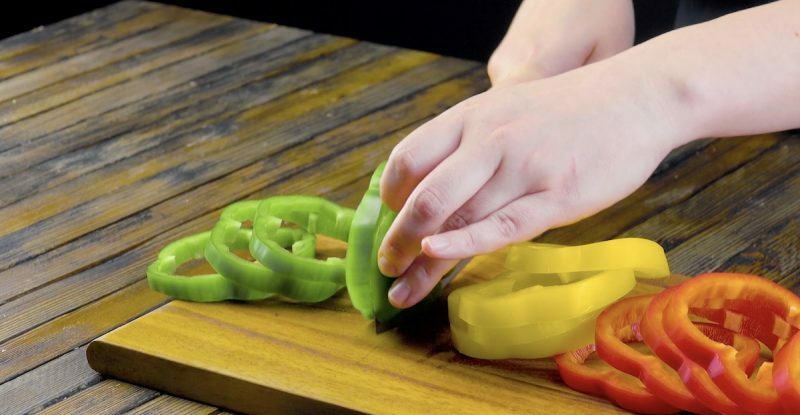 Cut the top off each bell pepper and then slice them horizontally to create rings. 3. 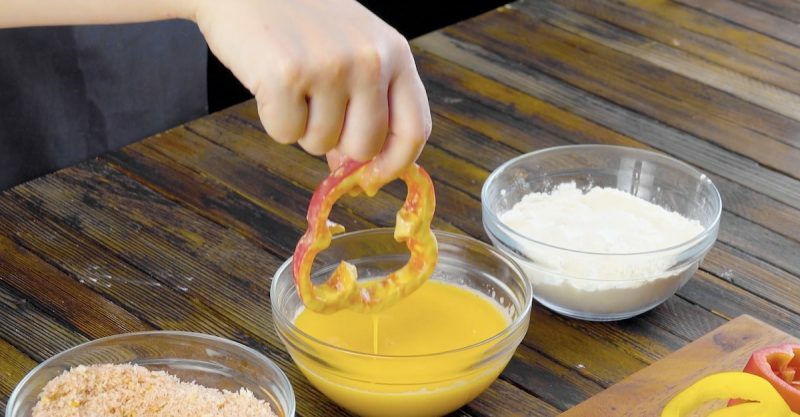 Mix the bread crumbs, paprika, salt, and pepper together in one small bowl. Whisk the eggs in a separate bowl and place the flour in a third bowl. Then dredge each pepper ring in flour, then egg, and then bread crumbs. 4. 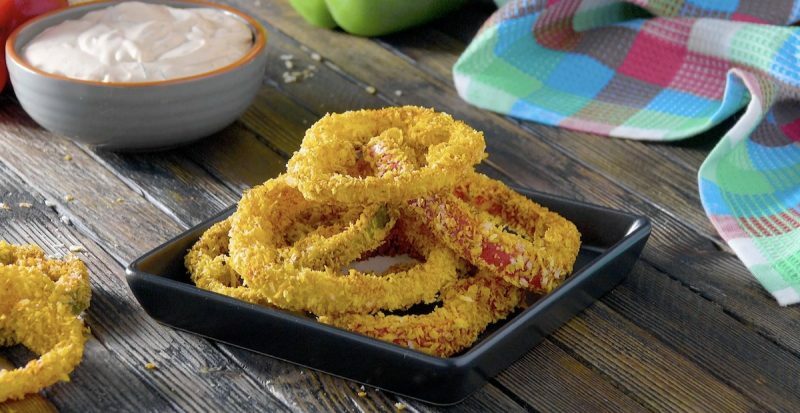 Bake the pepper rings for 15 minutes and serve with the chilled dip. Enjoy! 1. Preheat the oven to 400°F. Cook the spaghetti and let the noodles cool down. 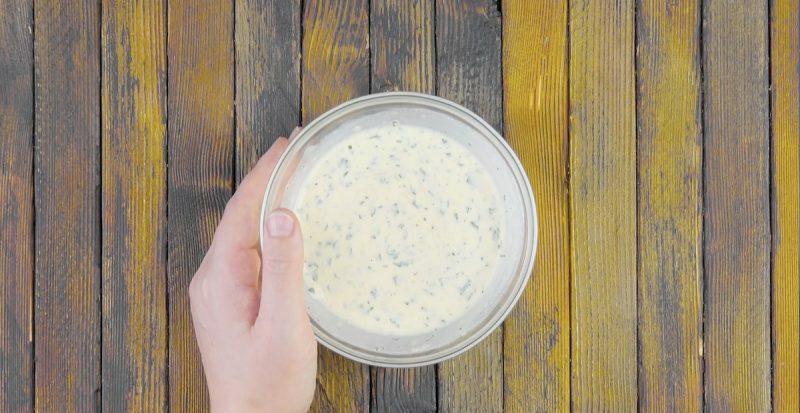 Combine the parmesan cheese, salt, pepper, parsley, and heavy cream, and mix well. 2. 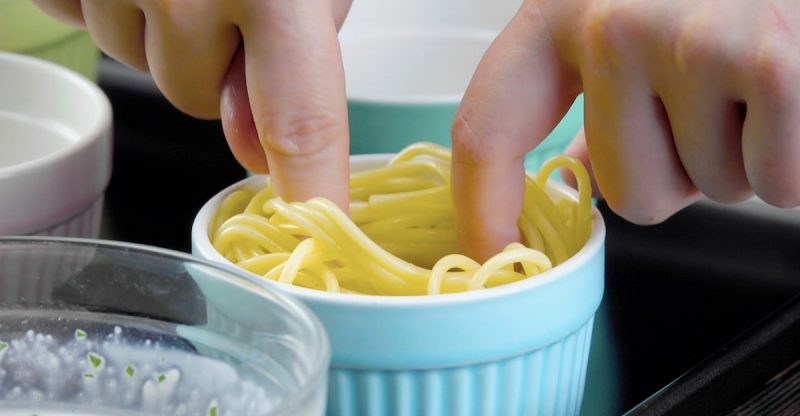 Divide the noodles between 4 ramekins and press them against the inner walls, making sure to leave a hollow space in the middle. 3. 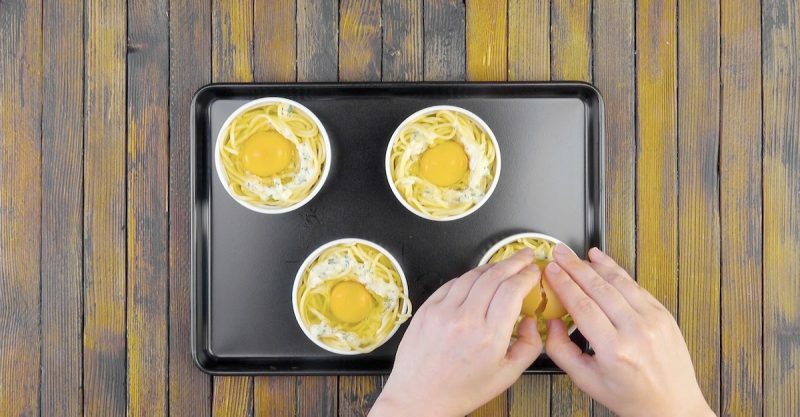 Drizzle some cheese cream sauce over the noodles and crack an egg in the hollow space of each ramekin. 4. Bake 15 minutes. 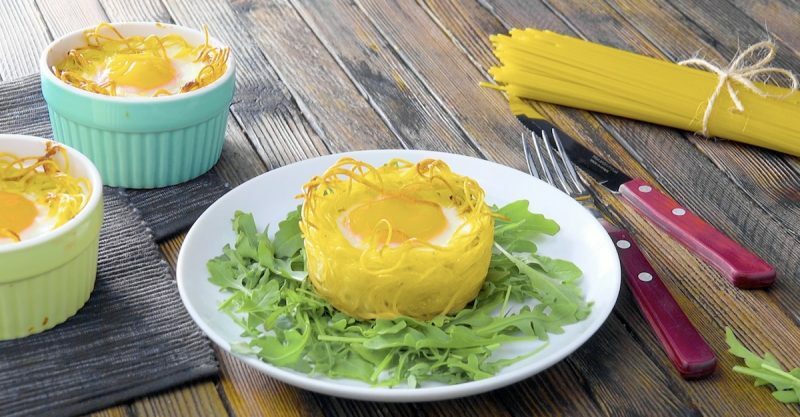 Remove the pasta nests from the containers and serve with rucola for a hearty, yet healthy snack! These 3 snack foods also work well as appetizers, finger foods, or centerpieces on a buffet table. Have fun cooking! You can find the recipe for the Eggplant Pizza featured in the bonus video here.